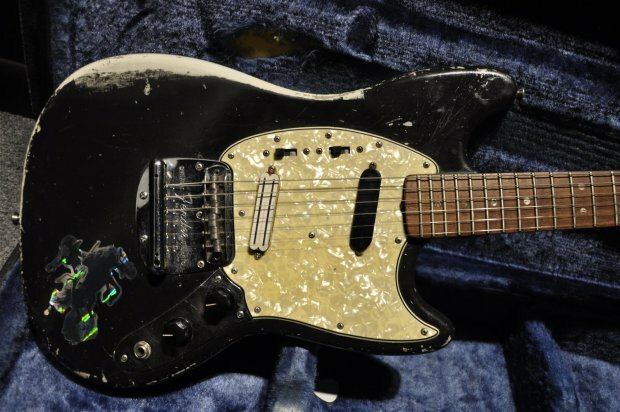 Probably a '66 - the F plates began in December 1965 (http://www.guitarhq.com/65strat.html). However the pearloid fret markers look a bit 1970s, it could be a mutt. You will be able to get a date off the neck heel, most likely. Looks damn cool. Looks slab, worn slab but slab. So body could be from 1964 to around 1967 or newer Japanese beat up special. Bridge is 1970s or Japanese. f-plate means it's not earlier than late 1965, but they had them in the 1970s too. It comes with the other pickup too? 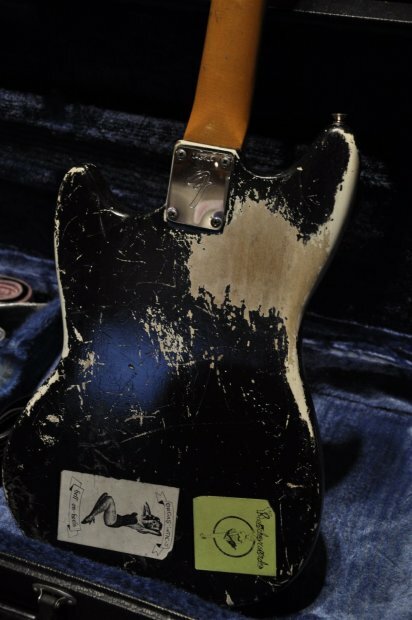 The dots look quite similar to the ones on the neck I just got from Nick and that's a '65. Looking at the photos the strings look really close to the edge of the fretboard, it could just be the photos or an A width neck. It's a great looking guitar. I've always wanted a black and a sunburst Mustang. How will his compare to a jap 65 ri ? You'll be way happier with that beauty than a reissue. As for the pickup I tend to mainly use the neck pickup for cool Fender tones so I personally think it's cool to have something really different in the bridge position. I have a lil '59 single coil sized humbucker in my '65 Mustang. That's a good price for that guitar. Especially compared to UK prices. you have to promise not to refinish it. Any idea what that scar on the front is from? My guess is a bucking bronco sticker. As for the pickup I tend to mainly use the neck pickup for cool Fender tones so I personally think it's cool to have something really different in the bridge position. I have a lil '59 single coil sized humbucker in my '63 Mustang. I fully agree with Thomas. 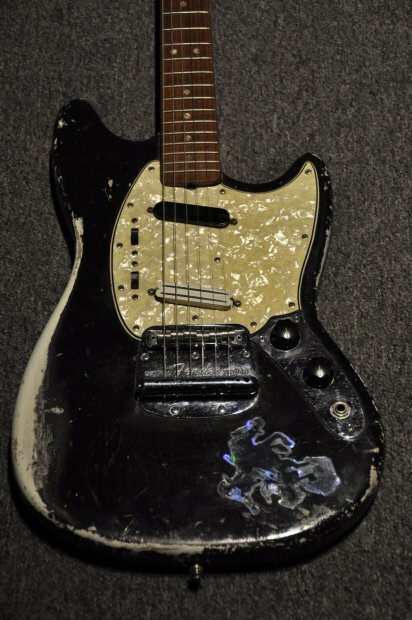 I never had a S/H guitar until I got my Jag-Stang. Believe it or not, I'm getting a good sound by combining the bucker (normal position) with the neck pup (out of phase). The bucker provides clarity while the single coil adds warmth. Perfect base for effects. I'm now a believer in the "put a bucker in the bridge" theory.